Sandy King 7th High quality field beating some notable Elite riders in the process. 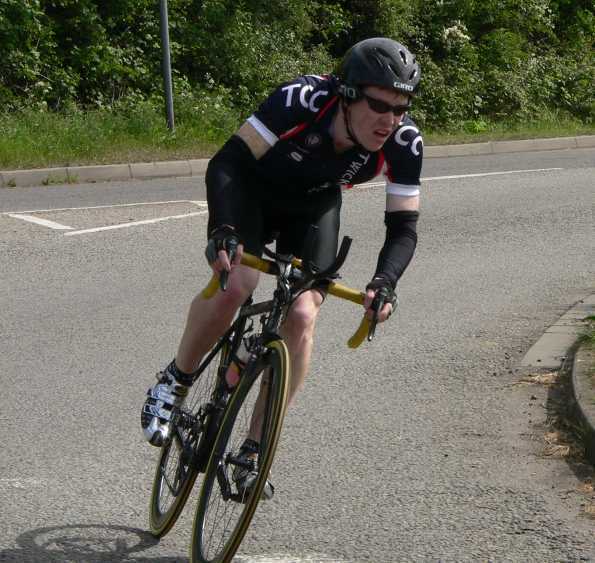 "Very good course with lots of steep hills, almost caught Wouter with a chase group of six, but started playing about, Should be a good leg sharpener for Catford and Bec Hill climb's, and of course the club circuit race champs!" A mind-boggling array of events took place at the Blenheim Palace Cycling Festival on Sunday, with Cross, Sportives, Time Trials, and even Brompton racing on the agenda. 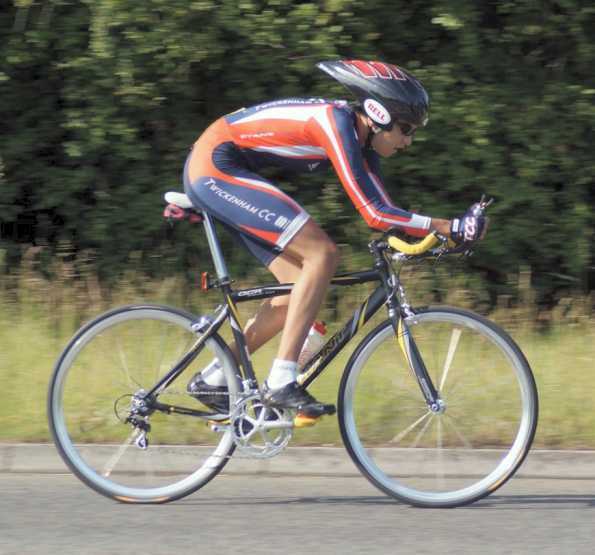 Gavin Mitchell completed the 20Km Time Trial in a time of 34:48. 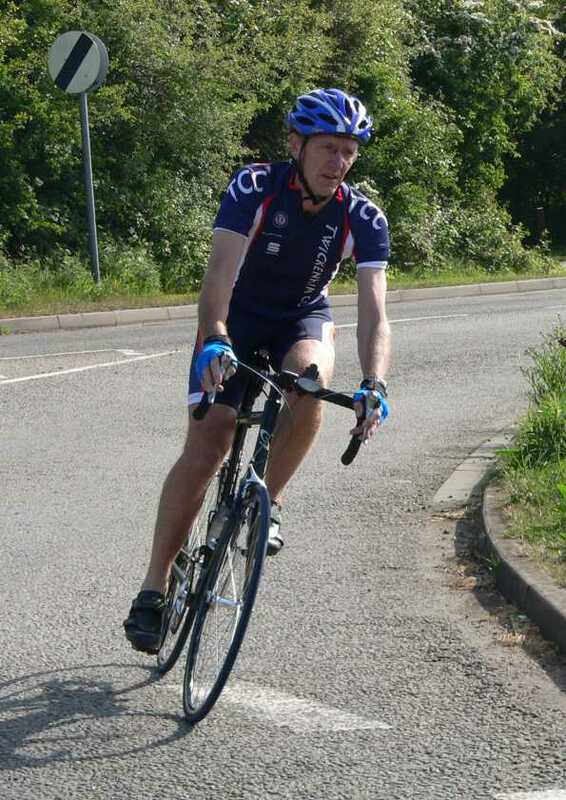 "I did the whole 100 miles recorded as 164km due to a diversion in 7:06 according to my GPS - wish I'd realised and I would probably have gone for the sub 7hrs but really I was too loo lah for the last 20 miles. My sentiments are with Corinne - I really did very little training as haven't been able to make it out for any long rides since I got back from Italy. Jas didn't take part as he was feeling rough from yet another cold. But from what I could see from my delirium, the route was fantastic, gently undulating for the first 30 miles spurred me into playing with the big boys up front with a bit of through and off. No queing at the food stop for me - I was straight in there for the bacon butty - very nice! Forwent the tea in my eagerness not to stop for long. So on I went and was aghast to see a 70 miles to go sign - hmm already feeling like this was going to be a long way. Then I was counting down what seemed like an eternity to 60 miles to go, inbetween the 60 and 50 were some very nasty little climbs, the worst registering at 19% - nothing in Italy was as steep as that. I thought I might have to stand up but I was too scared about falling off so i ground it out on the basis that no climb could go on for that long. 50 to 40 miles to go were fairly pleasant and I thought I would forego the last rest stop on the basis that you had to backtrack to stop or turn right to carry on with the route. I decided to cut for home as I still had a bottle left but maybe I should have stopped as delirium and major sense of humour failure set in with another eternity for the 30 miles to go sign with some more stiff 13% climbing along the way. More pretty villages passed and some probably quite risky descending as I sensed the only way I could get back sooner was not to brake - I almost ended up splattered across an oncoming car when there was a left hand bend over a brook which took me by surprise - I just managed to swerve and keep the bike under control- thank goodness for my campag brakes! Finally 20 miles to go with lots more undulations to suffer until the final 10 miles to go appeared. Think the organisers were having a laugh when a 5 miles to go sign appeared but I had already seen the signposts for Blenheim so that could only really have been 2 miles from home. Then for the final push for home but really I had nothing left so just kept plodding on until a cheer from one of our regular NEC motorbike marshals for his 'Twickenham Lady' spurred me on for the final one mile straight for the finish line. Hoorah, I made it and all in one piece but very very sore!" 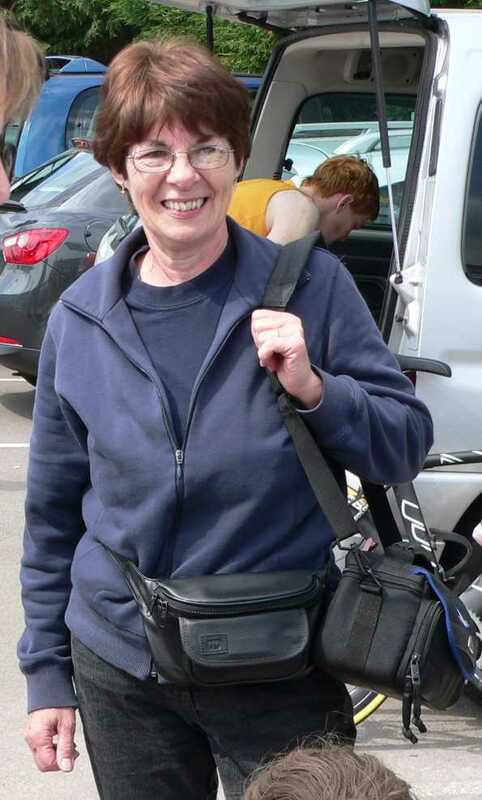 "I do have to say it was probably the best organised sportive I have done (ours excepted!!). 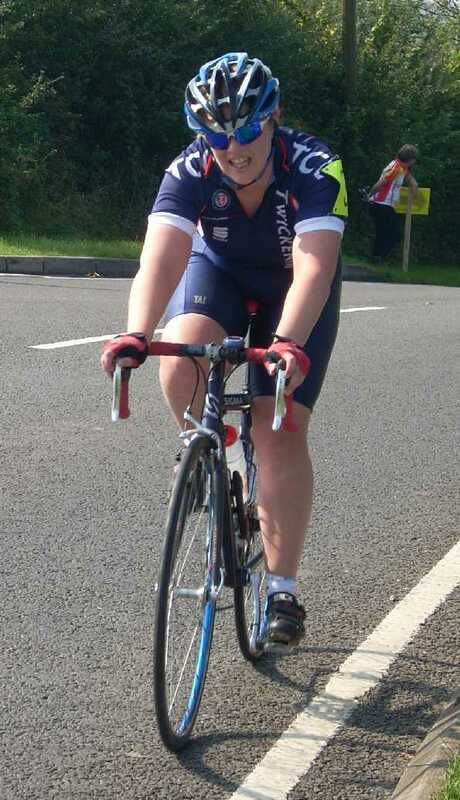 I did the 60mile - about 1100m of climbing - really beautiful (the weather helped). The route was really well marked - don't think I overheard anyone saying they got lost. All drivers were polite - I think it helped that the organisers had put up so many notices prior to the event warning about it. I even got a free bacon butty at the feed stop - food of elite athletes!! Scherrit stayed at the palace puppy minding & hobnobbing w/ the the Duke of Marlborough - he said the Brompton race was particularly amazing w/ over 600 participants!! 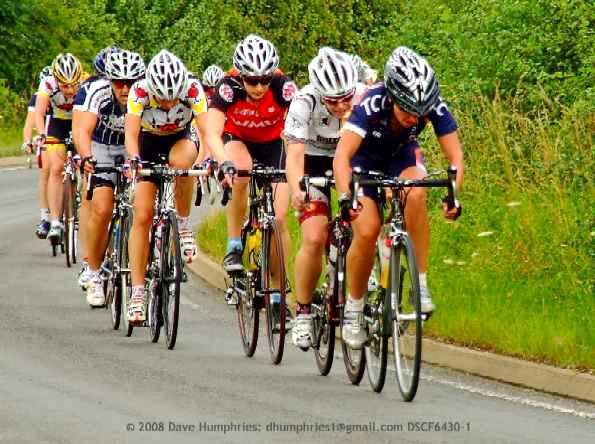 Definitely recommend it as a day out"
"The Senior, Vets and Women’s race (SVW) race was the final cyclocross event held at the Bike Blenheim Palace Festival, having been preceded by the U10s, U12s, U16, Youth and Novice races. Wiesia Kuczaj, (Ve), and I had been busy helping out the “Go Ride Team” with the prior races and had not eaten lunch. Our “rushed” nutritional race preparation comprised of two Krispy Kreme doughnuts each. So heads spinning from the sugar rush we lined up for the start, apprehensive of what lay ahead of us for the next hour or so of racing. We had ridden round the course once and knew that the terrain, although flat, was tough going. 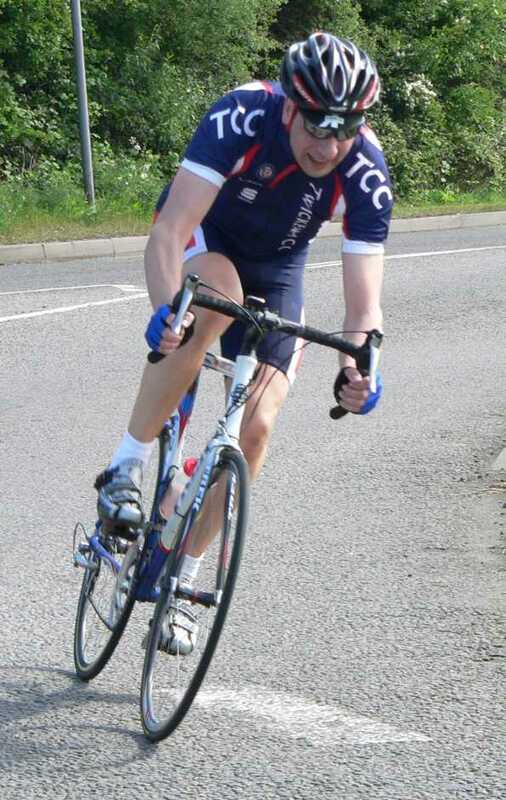 seemed to struggle but 100 metres later my legs were burning and I lost all pedal rhythm and power for a while. Having no race tactics, other than to finish, I set about focusing on the riders ahead of me and steadily I brought them back. 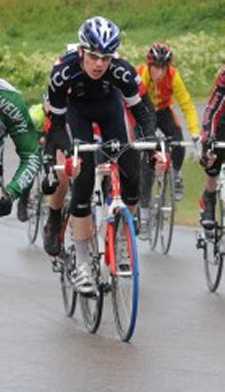 I found myself in a particular battle with a Dulwich Paragon rider and we constantly switched places. For some reason I lost time on the open straight sections and gained on the technical twists and turns. I guess you feel the less pain when you’ve got something else think about. We had been racing about 45 minutes before I saw Ve again. I caught up with her in the corkscrew section. She explained that one of her shoe cleats had broken resulting in a pit stop, a replacement bike and a change of shoes. We were both exhausted and looking forward to the finish. Finally the bell rang for the final lap. 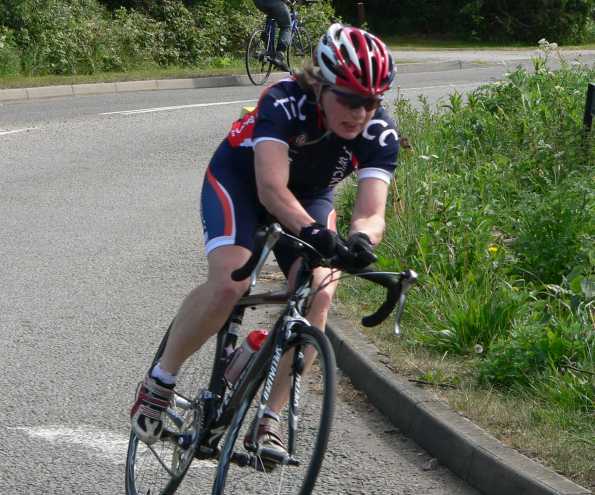 I was still in pitched battle with the Dulwich rider, who had snuck past me again, catching me unawares as I moved over to allow the race leaders to lap me. The Dulwich rider had a 50 metre advantage as we approached the planks. Leaping, gazelle like, I made up some ground and focused on the wheel in front. I continued to make up ground and took advantage of my better technique over the log jump and took back the place and opened up a 10 metre gap. All that was left was the final haul to the finish. 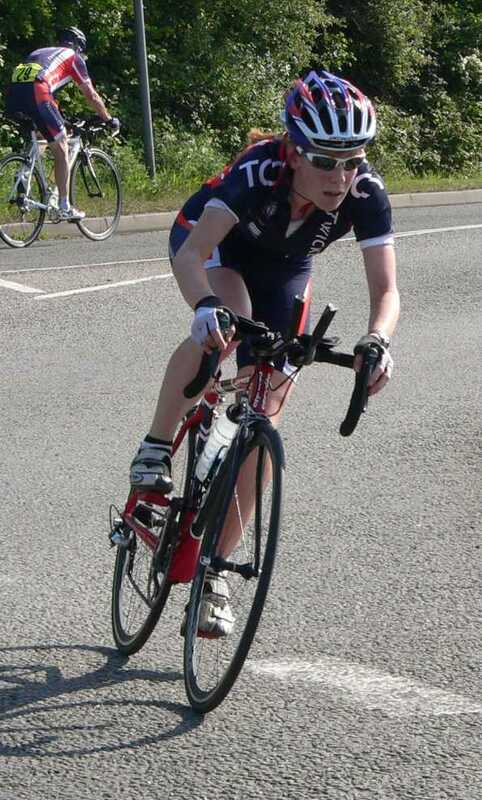 Head down, time trial style, I set about turning the biggest gear I could manage. 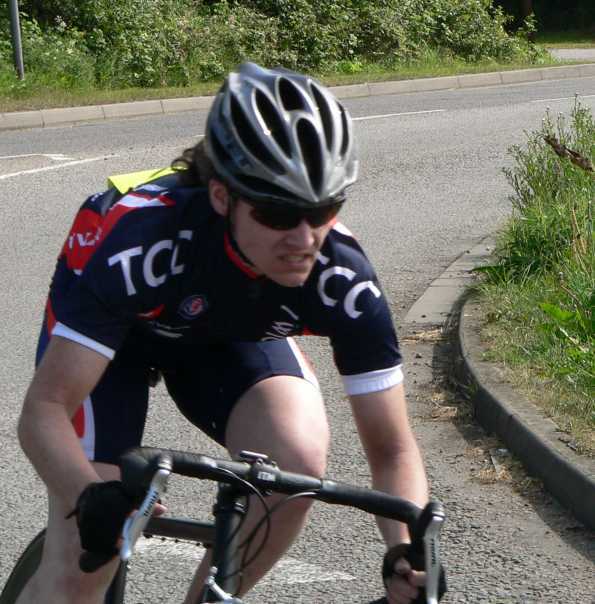 The Dulwich rider was out of contention as we headed into the race finish but I was closing fast on another competitor, 100 metres to go and 20 metres close. I sprinted for all I was worth but came up short by a wheel length. 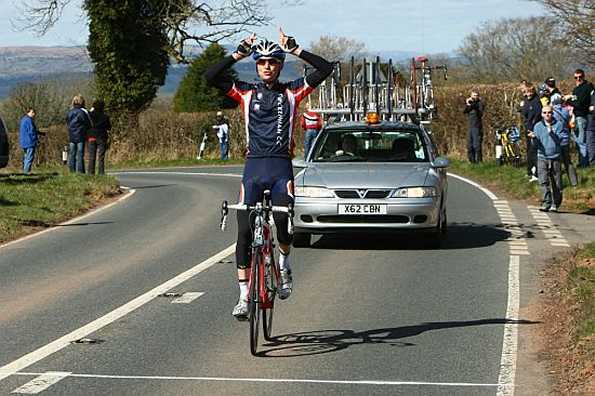 All in all it was a most enjoyable race and an excellent introduction to the discipline." 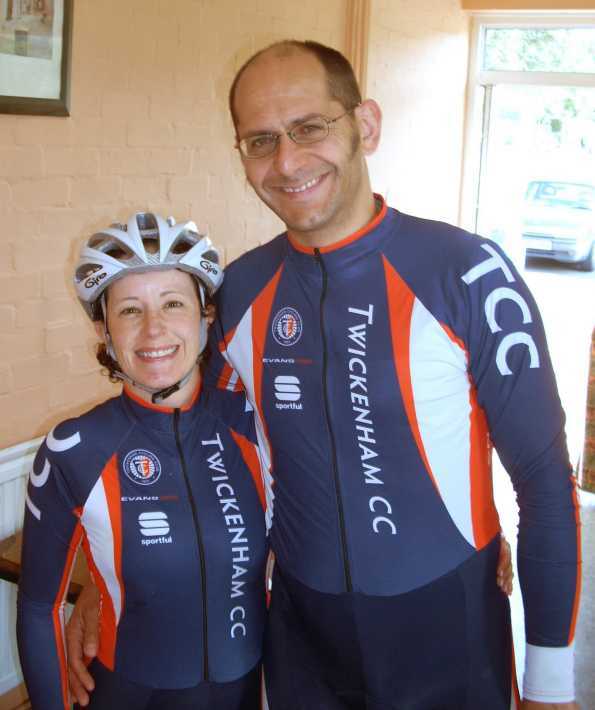 Natalie Creswick, Holly Seear, & Stewart Ward rode the Autumn Epic on Sunday. More details to follow. "Just did the short course but had a very enjoyable ride. I know that many TCC members have done it in the past, but I would very much recommend the event, it was very well organised and clearly marked. Once clear of London streets it was also a very beautiful course, throughly deserving of the name 'ride of the falling leaves'. The only slightly negative thing I would say is that there was no feed station for the short course and no food or drink available at the finish, so luckily I had my jelly babies with me!!! I think they were getting something ready, but not until the long course people had finished. A slight constrast the well organised feast prepared for the Surrey Rumble." Wiesia Kuczaj followed home Ann Marshall (on this occasion riding for SWRC) in 8th place on Saturday in the Women's Race. The 4th Cats race results, featuring Mat Dykiert and Mike Miach, will follow when available.